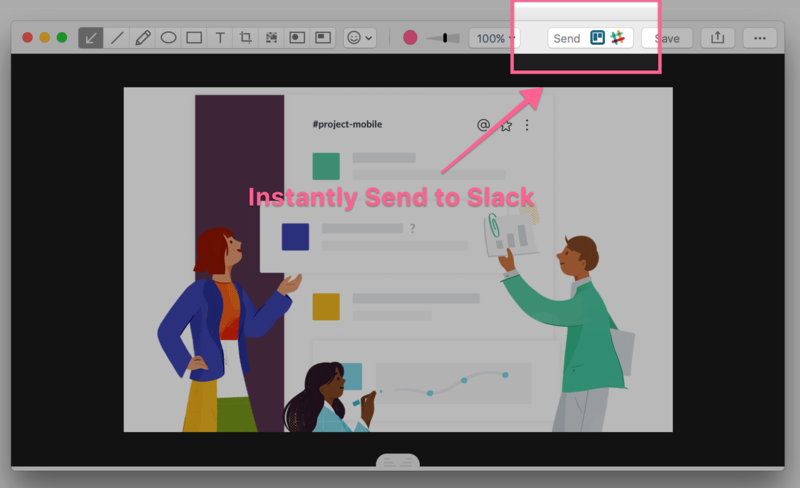 Create a GIF, the link is copied to your clipboard, message it immediately by pasting it into Slack's team collaboration app and see an instant preview. Our customers see a 300% reduction in time to communicate a complex concept, creating a more efficient and enjoyable workplace. CloudApp breaks down the need for meetings, reviews, and nonstop back and forth, helping you quickly get to the point of a problem with annotations and short videos. Spend less time conversing in the Slack messaging app and get more done! Slack teams are global, distributed, and usually separated by a set of headphones. We move at the speed of GB/s but still communicate through text. 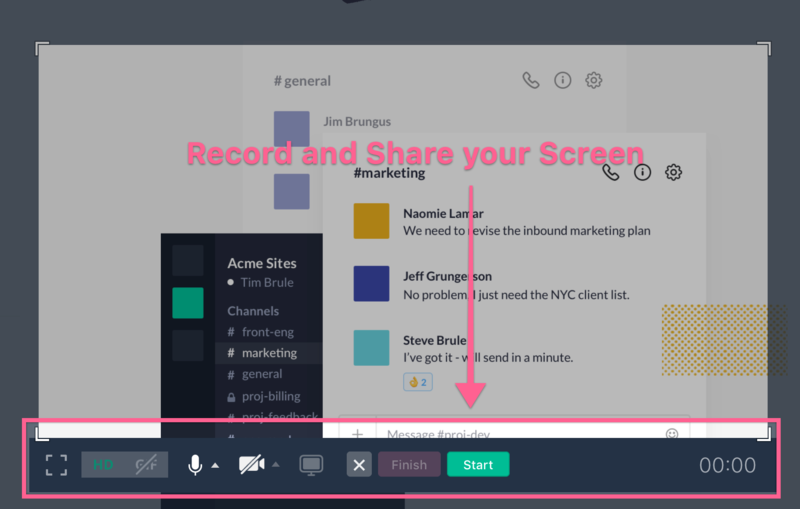 By using the hotkey of your choice, you can take a screenshot and post it directly in the Slack app. Pick a channel, add a message, post your content. CloudApp adapts to your workflow so you don't waste time opening windows or apps, looking for your content in your desktop files and uploading large files. Sharing a piece of your mind is as easy as this 10 second GIF.